Recognising that it is completely impractical for most of the world’s population to attend workshops and participate in organised Living Values Education activities due to cost, time and travel requirements, Living Values EDucation encourages and extends Living Values Education Distance Programmes to individuals, families and communities. Distance is a stand-alone Living Values Education programme which can be engaged by anyone, anywhere. It does not rely on trained facilitators or workshops attendance. It is self-structured with no time conditions. All materials can be translated for local use. 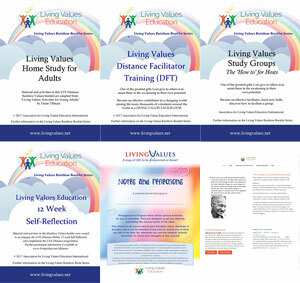 Living Values Education Distance Home Study for Adults, Families and Groups — to do at home — with or without certification depending on degree of interaction. The Home Study is a colourful 50-page participation book of activities drawn from “Living Values Education for Young Adults” with accompanying audio files and a 90-page personal Journal. Components: Home Study, Personal Journal, five audio files. Living Values Education Distance Groups — for the community or workplace environment, and for implementation in every class room, wherever groups of people come together. 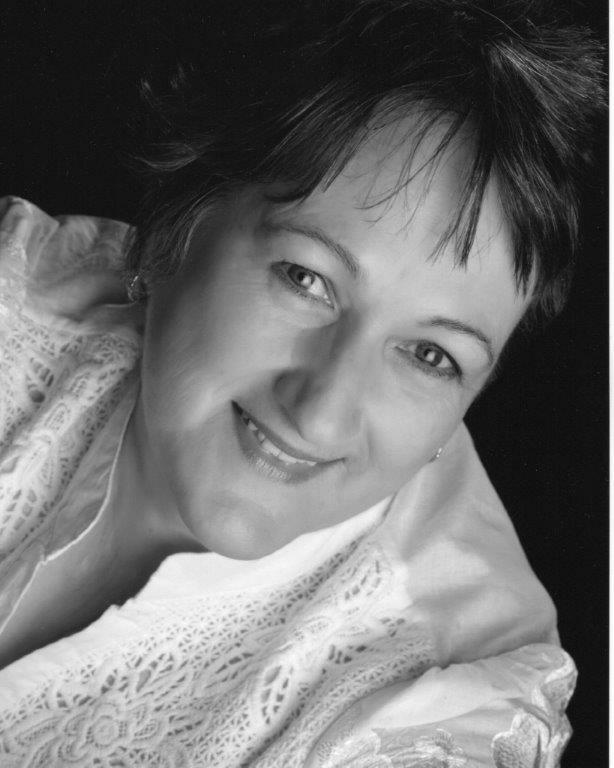 Our “Guidelines for an Effective Group” support the Study group convener. Home Study material is used for the group activities. Living Values Education Distance Self-Reflection 12-week personal evaluation. (Booklet or Online) — provides people everywhere an interactive opportunity to explore and discover the truth about ourselves relative to our relationship with the Values, thus developing a better awareness of the impact of Values in our lives. The programme runs for 12 weeks with four to seven simple questions interacting with the dynamic of one Value per week. Living Values Education Distance Facilitator Training allows individuals to have a role in sharing Living Values Education. The 20-page “Facilitator Training Guide” delivers techniques and skills required to feel more confident to facilitate activities and workshops using Living Values Education with community groups, schools, families etc. Certification is provided equal to that of those who attend the regular required three or four day workshops. For full certification attendance and co-facilitation is required at one 5-day combination workshop and TTT (Train the Trainer) with the local ALIVE Associate or Focal Point for Living Values Education after undertaking the Study. There is electronic interaction throughout the 12-week programme. Supporting Living Values Education Distance programmes are the Rainbow Booklet Series, a library of booklets designed for download and simple photocopying, translating if necessary and inexpensive distribution. "I was not expecting this would make the huge differencein my life that it has. The material forced to look at myself, all of me,my hurdles, pain, grief, fears and blocks. I soon discovered what values were the hardest for me...anything to do with me!! Living Values Education is for everyone, everywhere; there are no exceptions. Discovering the relationship with our values can become a life changing experience.